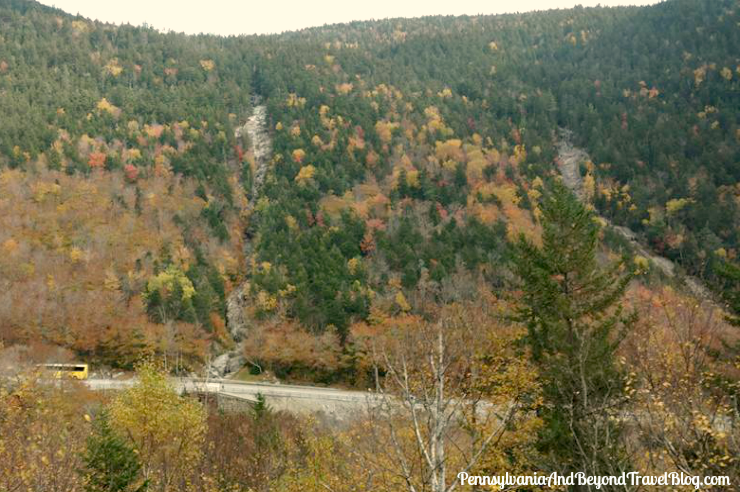 The historic Conway Scenic Railroad is located in North Conway, New Hampshire. The station is located in the center of North Conway Village and has been a regional landmark since 1874. 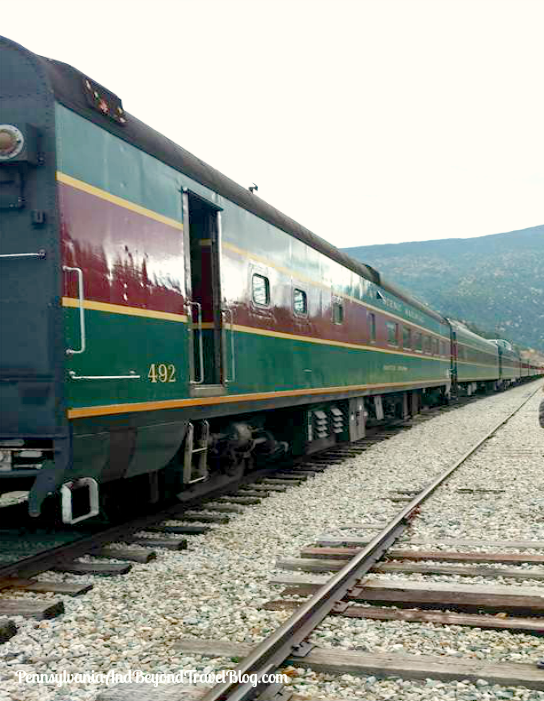 Currently, the station offers seasonal excursion train service in the Mount Washington Valley and attracts thousands of tourists every year. Visitors can choose between two different passenger trains: the Notch Train and the Valley Train. You can choose to ride coach, first class or in the dining car which serves delicious gourmet meals. The Notch Train operates June through October and the Valley Train operates April through December. Each of the two different trains offers passengers something different. 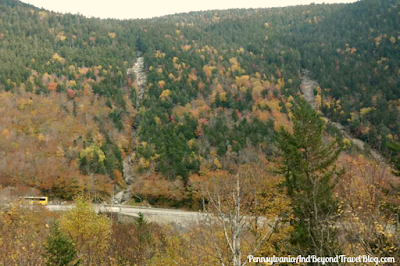 The Notch Train is the most scenic, running for 50-60 miles with a train ride lasting from 5 to 5 1/2 hours. The Valley Train gives you an old-fashioned train ride experience lasting from 55 minutes to 1 hour and 45 minutes, running for 11 to 21 miles. You can learn about the two different options by visiting the company's official website. 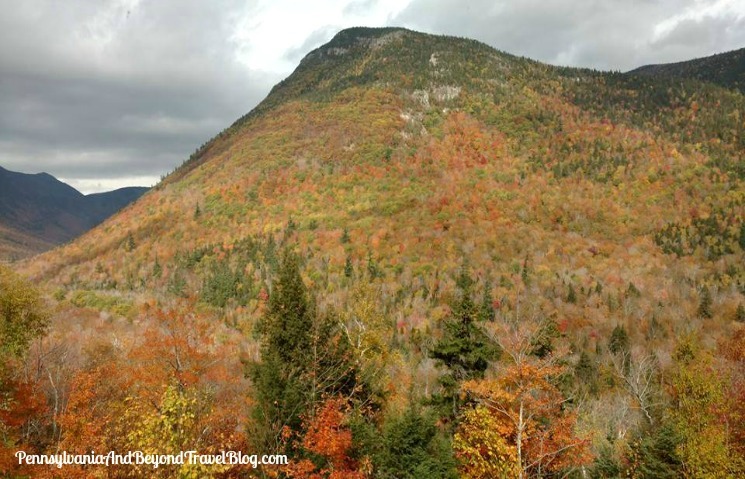 If you're a fan of the northeast fall foliage, I recommend visiting the historic Conway Scenic Railroad from late September through mid October to see some of the best fall foliage. You can view their fare rates and book your fare directly online via their website. Throughout the year they offer a variety of different events at various price points. Within walking distance of the railroad station you'll fine locally-owned shops, boutiques, cafes and restaurants located in and around North Conway Village. Looking to stay overnight or for the weekend? You'll find several beautiful Bed & Breakfast Inns nearby, along with numerous hotels, motels and lodges. Looking for a place to stay? Check out our post on The Glen House at the Base of Mt. Washington for some beautiful lodging accommodations. 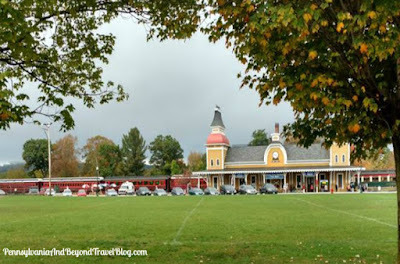 You can learn more about the historic Conway Scenic Railroad by visiting their official website online and by connecting with the company on Facebook.